★ One set RS232 to RS232 isolator for local connection. 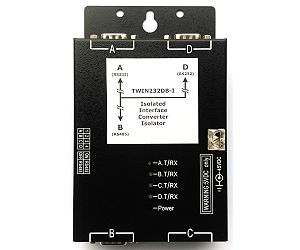 ★ One set RS232 to RS422 converter for remote connection. ★ One set RS232 to RS485 converter for multi-drop connection. ★ Fully Ground Isolated Function between each port. ★ One master RS232 port to slave RS232 port and RS485 port. ★ data transmission LED indicator in each port.